Bandinelli, Baccio (1493-1560). Florence’s worst Renaissance sculptor still keeps them laughing after 500 years. Supremely serious, boastful and vain, he produced sculpture that often hurts the eyes. That did not keep him from becoming court sculptor to Duke Cosimo I. His father was Florence's best goldsmith, a client and trusted friend of the Medici, and this connection greased young Baccio's way to the top. Vasari tells some charming stories about him: how he made his first sculpture at age eight, a colossal river god made of snow after a big storm. Or how all the young artists longed to get in to see and copy Michelangelo's cartoons in the Salone of the Palazzo Vecchio, but Baccio stole the key and made himself a copy. Bandinelli definitely had talent, but it was often defeated by the defects in his character (and also perhaps, defects in his vision). 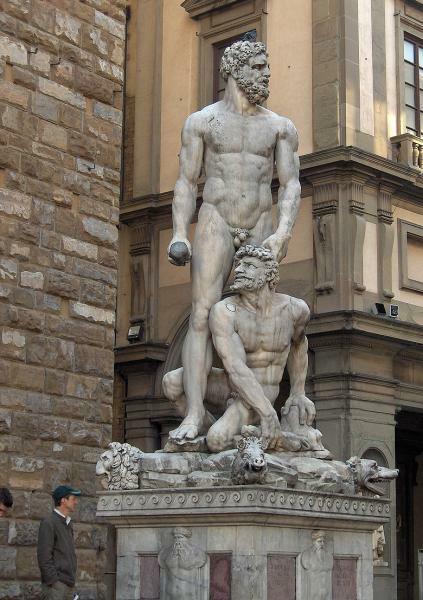 Michelangelo made him green with jealousy, and he wore himself out trying to outdo him in exaggerated, hyper-monumental works such as the preposterous Hercules and Cacus in the Piazza della Signoria. Baccio was very fond of self-portraits. Several of his subjects, including St. Paul, are really Baccio himself. Bad as he was, the Medici never lost their weakness for him. 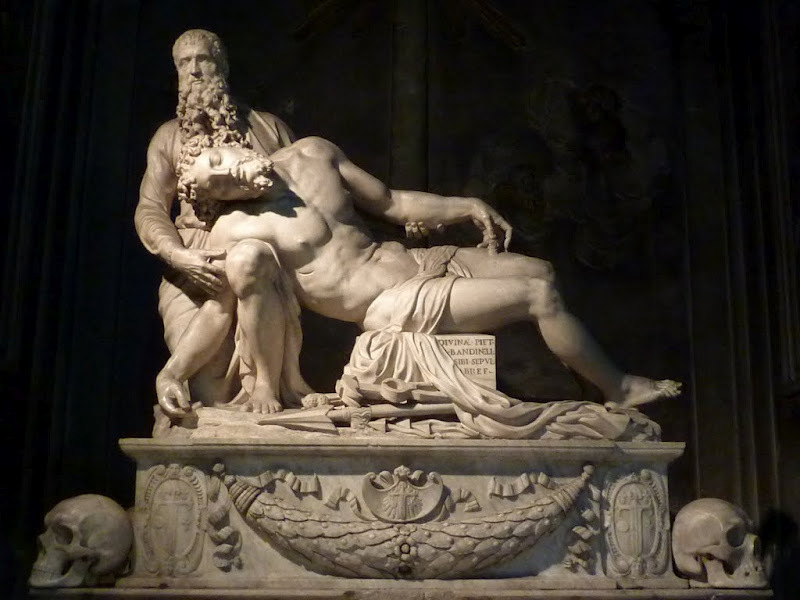 For the Medici Pope Clement VII he made a copy of the famous Laocoön that was supposed to be a present for François I. Clement like it so much he shipped it home to Florence and sent the French king some old relics instead. Outside the Medici, he had few friends. His endless bragging, his avarice and social-climbing toadiness made him a hated figure among his fellow artists; the insults they threw at him—Cellini calling his Hercules a 'sack of melons'—stick to this day. In Florence, the Uffizi, the Duomo, Piazza San Lorenzo, Boboli Gardens, SS. Annunziata, Bargello.